Why do you want to learn how to hand quilt? OR, Why do you want to learn how to hand quilt BETTER? Why do you want to learn? What drives you to quilting? What is your passion? 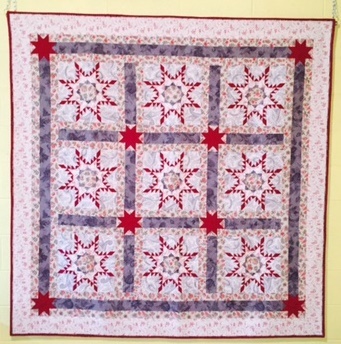 Who do you know personally that is a hand quilter? (By that I mean knowing someone OUTSIDE the Internet world… someone you see in person and talk to on a regular basis). I read the following phrase recently: “Clarity trumps perfection.” When you combine that phrase with the process of learning to hand quilt, what do you think of? Would you take a few moments to think deeply about the questions presented above and share them with me via email? I’d like to take all your thoughts and put them together into a list and share them, not through a usual Facebook discussion, but just as a simple list of your thoughts. So please respond to me by dropping me an email and include your first name. I am excited to find out what thoughts you have, and once I have gathered your thoughts, I will share them on this blog. Stay tuned, and keep stitching!